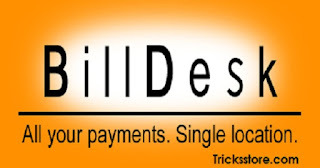 Billdesk Offers, Billdesk Cashback Offer, Payment Gateway Cashback Offer – Hey guys, How are you all now get 50% cashback on BillDesk. Billdesk offers, Billdesk is offeing Rs 100 Cashback on Rs 200 On your first transaction & Rs 50 Cashback on next transaction. Billdesk Payment Cashback offer, is here with it you can get 50% cashback upto 100 rupee instantly on your first transaction. You will get the Benefit of this Offer. But for this offer you have to wait till 1st July and valid till 30th September 2018. So Hurry guys up guya be ready to avail this offer. 1. First of all, Go to any of the Merchant where you wanna pay your bill ( complete List of Affiliates/Partners available below). 2. Now on Payment page choose any Option eg, Netbanking etc. 3. 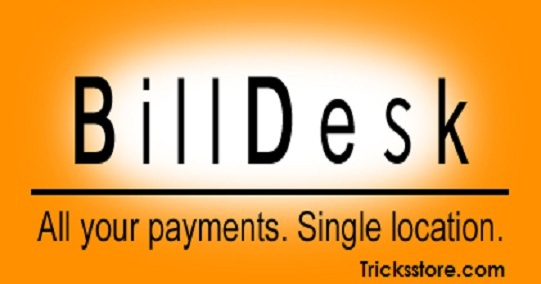 Here you will redirect to Billdesk Payment Gateway. 4. Now choose “Bharat QR Code” as Payment option & pay using Visa card only. 5. Now at the end pay the amount using Scanning QR Code. That’s it guys, Your cash Back will be provided with the credit after 15 working days. Gujarat Gas Ltd. – Erstwhile GspcGas Cust. * Promotion will be available from 7th July, 2017 to 30th september 2018 or till offer lasts, whichever is earlier. * Transact at any of the participating merchants in the promotional offer. * Cash back eligible for transactions done using Bharat QR only on the participating merchants. * Minimum transaction size should be Rs. 200/- per transaction. * Customer eligible for the Cash Back will be provided with the credit after 15 working days. * In case of chargeback, cancellation, refunds (full or partial); customers will not be eligible for cash back of that transaction. * Please contact your bank for any queries.